HUGE news Dispatch fans!! After their welcome return after 5 years away from the road in 2017, the legendary roots band are continuing their live show into 2018, including a very special headlining show at the Red Rocks Amphitheater! What’s more, they’ll be joined by Nahko and Medicine For The People and Raye Zaragoza for what promises to be a sublime evening of indie roots music! Get your tickets NOW for Sunday 17th June 2018!! 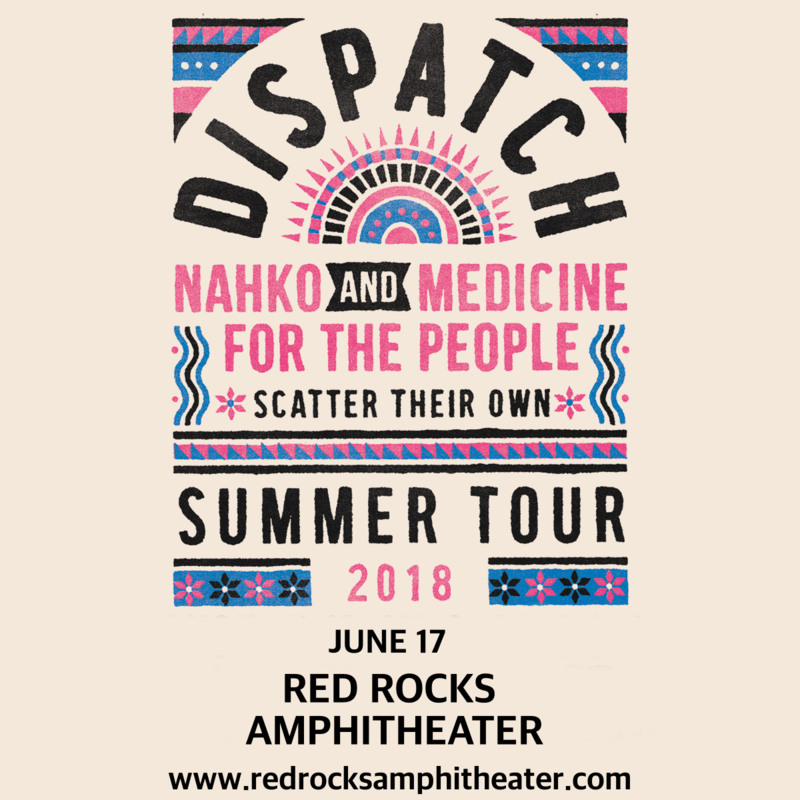 Get ready to experience all these sounds live with Dispatch, Nahko and Medicine For The People and Raye Zaragoza – it’s going to be a phenomenal night!! What are you waiting for?? Grab those tickets NOW while you can!